Woodsworth College alumni have helped more than 200 students determine their career direction through one-on-one mentorship pairings. For Jeff Beleskey (BSc 2000 WDW), giving back permeates his life. A lawyer in Barrie, Ontario, Beleskey sits on a hospital research ethics board, has served on the Ontario Bar Association and Canadian Bar Association Executive council, hosts articling students and helps local schools with mock trials. “We’re a small firm, but we’re pretty adamant that we should give back to the legal community,” he says. 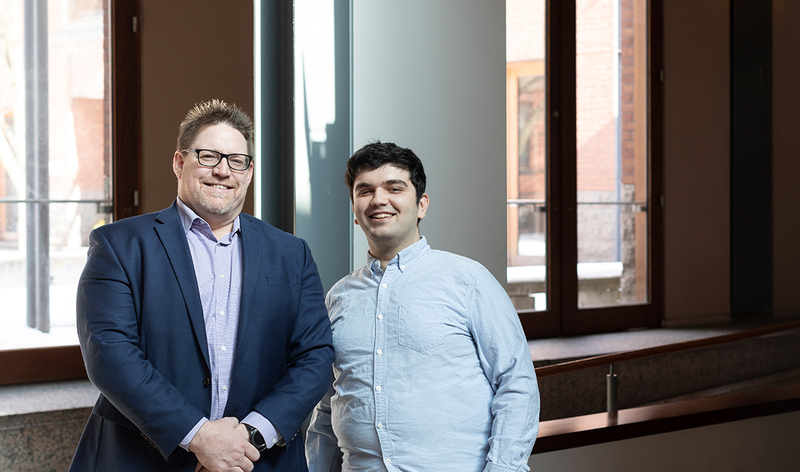 Woodsworth’s Alumni-Student Mentorship program, now in its sixth year, focuses on career exploration and has paired 227 students with alumni mentors. Both mentor and mentee benefit: the mentee reflects on a profession, while the mentor hones leadership skills.